Why did you decide to join the Shevchenko Scientific Society? As a young scholar entering academia in the 1990s, I recognized the importance of being affiliated with an organization that promoted a serious understanding of the region we study. When I entered my graduate program in ethnomusicology at Columbia University in 1997, it was eye-opening to recognize the extent to which music studies have been shaped by political ideologies. Shevchenko Scientific Society offered a space to explore new ideas. My colleagues helped me establish strategies through which I could foster my own voice and pursue my research interests. Funding opportunities through Ukrainian research organizations helped me circumvent institutional prejudices. I teach courses that go against the grain and work hard to broaden the university music curriculum. I take seriously my responsibility to raise awareness for marginalized musical traditions, giving voice to those who identify with them. What do you value about membership in the Society? What is your most memorable Society’s event or publication? Shevchenko Scientific Society comprises scholars driven by their love of knowledge and their passion for research relating to Ukraine. The Society now boasts intellectuals from around the world of different ages and back-grounds who engage in interdisciplinary research and scholarly exchange. My most memorable memory of this exchange is perhaps of my own presentation at the Shevchenko Scientific Society in New York when I was invited to present my dissertation research on Romani music traditions, about 15 years ago. What I appreciated most about that experience was the Society’s fervent support of young scholars, something I have always cherished and continue to pass on to younger generations. A network of support is not always a given in academia, especially when one researches topics deemed unpopular. At the time I was conducting my research with Romani musicians in impoverished Romani settlements in Transcarpathia, I was not invited to speak at ethnomusicology conferences in Ukraine be-cause my topic simply did not “fit” in terms of theoretical interests and methodology. I have worked to help broaden the parameters of ethno-graphic disciplines in Ukraine and hope that if a younger scholar ever feels not heard, that they reach out to colleagues at Shevchenko Scientific Society who, from my experience, strive to create space for all points of view. How did your interest in Ukrainian culture and society influence your career path? I focused my research on Ukraine because, like so many others of my generation, I wanted to make sense of my cultural experiences growing up in the Ukrainian diaspora. I quickly recognized the constructed nature of diaspora traditions and began to analyze musical expressions as shared inter-ethnic experiences. I familiarized myself with Jewish traditions and, through klezmer music, was then drawn to the music of the Roma. I have been engaged with Romani music as a performer, scholar, and educator. My close ties with Europe’s most marginalized minority has also trained me in advocacy research, applied ethnomusicology, and human rights activism. My forthcoming book ReSounding Poverty: Romani Music and Development Aid analyzes the role of Romani music within the Roma rights movement in Ukraine. Rights rhetoric has also framed my previous monograph, titled Hip Hop Ukraine: Music, Race, and African Migration (Indiana University Press, 2014), based on ethnographic research among African musicians in eastern Ukraine and my volume, Hip Hop at Europe’s Edge: Music, Agency, and Social Change (Indiana University Press, 2017), co-edited with sociologist Milosz Miszczynski. I am presently on a year-long sabbatical with a fellowship from the American Council for Learned Societies. Having spent the first half of my career researching musical traditions of minorities in Ukraine, I have been traveling throughout the United States with a banjo and a resonator guitar to familiarize myself with bluegrass music and the blues. I have also recently undergone training to teach music courses in a maximum security prison in Pennsylvania and am presently conducting research on Native American prison pow-wows nationwide. 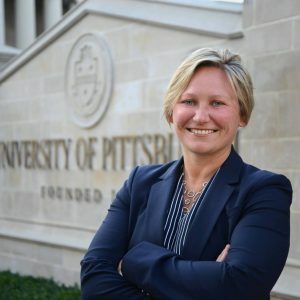 I have also established a music and disabilities network of students and scholars at the University of Pittsburgh, focusing specifically on the relationship between music and autism. Broadening my knowledge of musical activities within the country where I live and work helps me share fresh perspectives on musicological research with students and colleagues in Eastern Europe and the United States. What career advice would you give for new members of the Shevchenko Scientific Society?